BioEnergy Greens has a rating of 4.5 stars based on 39 reviews. How many times do you choose carbs over protein? Refined sugar over fruits and vegetables? A granola bar over a meal? We vow to make healthy choices, but we often find ourselves in situations where cravings or convenience take over. As a result, 77% of Americans are not getting the recommended 2-4 servings of fruits. And 59% are not getting the recommended 3-5 servings of vegetables. Do you fall into this group? You might think you’re taking in all the nutrients your body needs, and still falling short. What ends up happening over time is that we begin to lose energy and functionality. Our bodies are suffering because we choose convenience over health. The quick sugar fix instead of the nutritious meal. But remember this: When your body is not getting what it needs, it suffers. And when your body suffers, everything else does, too. You don’t perform at your peak. You become easily irritated. You give up when it comes to your professional and personal goals, simply because you don’t have the energy to move forward. And, you become a prime target for disease. With BioEnergy Greens, you can. Packed with fruits, vegetables and antioxidants, this superfood powder nourishes your body at a cellular level, giving you more energy, quicker recovery from exercise, mental clarity and overall increased well-being. 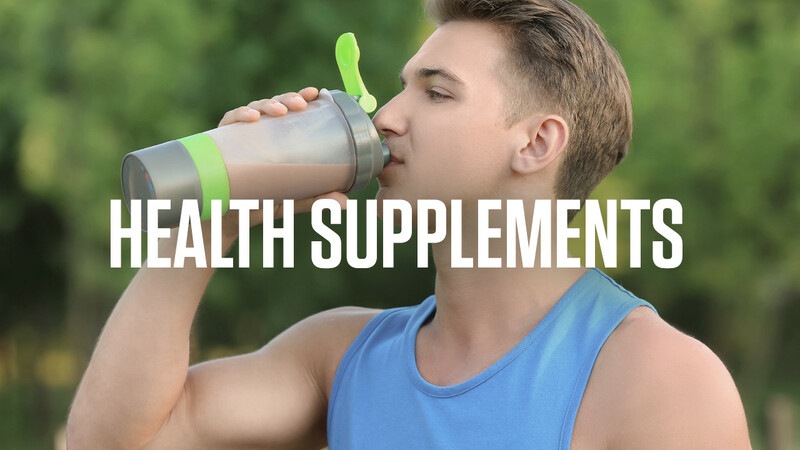 This greens supplement is a straightforward way to get the energy and nutrients your body needs, so you can perform at your peak level. As part of Tony’s own daily routine, he uses BioEnergy Greens with ImmunoBoost-C as a shake in the morning to start his day and maintain his health, no matter what his rigorous schedule requires. BioEnergy Greens, the green drink powder that provides more energy and more clarity. All day, every day. "My energy flow opened up beyond anything that I could ever imagine." Our most popular combination! Mix together with BioEnergy Greens for great taste. 4 servings of antioxidant packed fruits and vegetables in each scoop. Multi-nutrient rich superfood that provides powerful antioxidants, essential amino acids and enzymes. It contains vitamins A, B1, B2, B3, B6, C, E and K. It also has electrolytes such as magnesium, phosphorous and potassium along with minerals such as zinc, iron and calcium. Superfood made up of 70% chlorophyll, an essential blood builder and cleanser. It contains all minerals, vitamins A, B-complex, C, E, I, K and 17 amino acids. It is considered a full source of protein in the form of polypeptides. Loaded with antioxidants and contains vitamins A, C, E, K and beta-carotene. It also has magnesium, iron, potassium, calcium and essential fatty acids. It helps with digestive health, anti-aging, hormonal balance, strengthening the immune system and inflammatory conditions such as arthritis and fibromyalgia. Super-veggies containing vitamins, minerals, antioxidants, fiber and disease-fighting phytochemicals. They also contain high-levels of glucosinolates and sulforaphanes, which are known to improve blood pressure, kidney function and kill cancer cells. Natural algae powder considered to be one of the most potent nutrient sources available containing Omega 3, 6 and 9. It is high in protein, antioxidants and contains vitamins A, B1, B2, B3, B6, B9, C, D and E. It also contains potassium, chromium, magnesium, phosphorous, zinc, iron and calcium. Herbaceous flowering plant which helps detoxify the body, improve metabolic efficiency, boosts immune health and increases energy levels. It contains iron, amino acids, antioxidants and vitamins A, C, D, E and K.
Extracted without any chemicals or alcohol. They contain powerful antioxidants, flavonoids, linoleic acid, phenolic acid, procyanidins, vitamin E and omega 3 and 6. Also a great source of resveratrol, a powerful nutrient that is a primary anti-aging compound. If you’re ever tried a weight loss, diet, or exercise program before, you’re in for a big surprise, because this is like nothing you’ve ever experienced.